The desert state of Rajasthan has a population of 7 crore and sends 25 MPs to the Lok Sabha. In the Vidhan Sabha election that took place in December 2018, the state voted out the Vasundhara Raje-led BJP government to bring the Congress to power. The BJP won 163 seats in the Assembly in 2013. 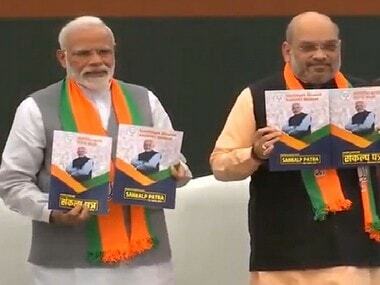 But, in 2018, there was a dip of 93 seats and the party’s tally fell to a dismal 70. Five months on, traders in the state seem reluctant about electing Congress MPs in the ongoing Lok Sabha election. 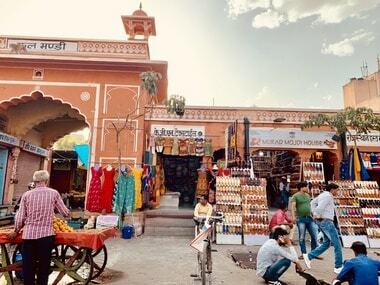 Although frustrated with the inconvenience caused by demonetisation and the initial difficulty in comprehending GST procedures, traders in pink city Jaipur see no alternative to Narendra Modi at the Centre. 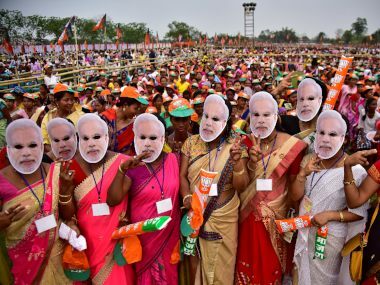 Firstpost hit ground zero to find out the mood of the trader voters in the state. KL Jain, who represents the Rajasthan Chamber of Commerce, an apex body with three lakh members explained that the recent decision of the central government to double the limit of exemption from payment of GST to Rs 40 lakh and the setting up a higher turnover cap of Rs 1.5 crore for availing composition scheme of paying 1 percent, has brought relief to traders. “State and national issues are different. In this election, the main focus is on Narendra Modi and nationalism precedes all other concerns,” he predicted a bold 18-5 win in favour of the BJP in the state. Suresh Agarwal, president of the Federation of Rajasthan Trade and Industry (FORTI), a trade body based in Jaipur, said the two main industries in the pink city that were adversely affected by demonetisation were real estate and gemstones. "Given the meteoric rise in property rates from 2005 to 2008, scores of traders had entered into the business such that they now form nearly 20 percent of the trader community in the state,” said Agarwal. He said that the disruption in cash flow has shrunk the market, and traders in the property sector haven’t been able to regain confidence. But the impact of this on vote share isn’t a given. From a vote bank perspective, traders aren’t a consolidated group. For instance, gemstone is one of the sectors and the nature of the business is that gems are imported, carved and embellished in India, and the finished product is exported. The GST's entry tax on imported goods is a big concern for those in the sector which is also suffering a blow due to the slump in the international market. “I have been in the gemstone trade since 1983 and never have I been taxed multiple times in the making of the same product. The trade is down to 30 percent of what it used to be and artisans who were once skilled can now be spotted peddling rickshaws for a living,” said gemstone trader Suresh Kumar. In the Sitapur industrial area in Jaipur, this reporter ran into Azzu bhai. He has spent half a century working in gemstone workshops and says the impact of knee-jerk economic reforms is hardest on people at the bottom because if traders take time to comprehend and adapt to new rules, they slow down their intake of orders and workers who survive on daily wages fall out of work. He cited the example of Tanzania, which imposed a ban on the export of rough tanzanite more than 1 gram to encourage local beneficiation, as an indicator of how countries are closing their doors to safeguard the interests of their own workers. Strict GST rules, like the one that imposes penalties on technicalities, are a cause of fear and frustration in the gemstone trade which directly engages a couple of lakh people in Rajasthan. 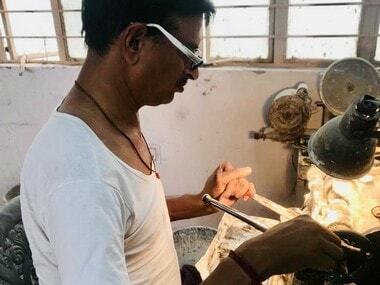 Nirmal Bardiya, who runs a jewellery business on Jaipur's MI road, feels GST has brought order and transparency to the way business is done. To verify this claim, Firstpost interacted with big and small traders at Jaipur’s busy markets — Bapu Bazar and Johari Bazar. Mukund Bihari Kalundia, a textile trader said there’s no difficulty in filing a three-month return. Rakesh Khandelwal, who mans a silver shop said that GST has made transactions cashless and a lot more transparent. Kishore Kumar Jain, who transports edible goods across the state, said trucks don’t load goods until they see the transport bill. At the Chandpole Market, the vice-president of a market association, Ashok, predicted 17-8 seat ratio for BJP. “There’s no alternative to Modi. The traders voted out Vasundhara Raje because of her stubborn stand on several issues and her lack of acceptance of opinions of stakeholders. But, people here have nothing against Modi’s policies," he explained that the distinction between the Centre and the state is quite distinct in the mind of the local voter. The BJP has enjoyed a stronghold over Jaipur. The late Girdhari Lal Bhargav of the BJP was elected six consecutive times and had defeated the late Maharaja of Jaipur Bhawani Singh by nearly one lakh votes in 1989. 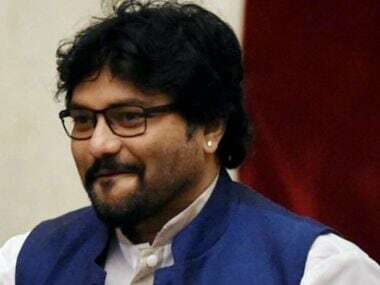 The party sidelined him and made a dent in old loyalties after which the Congress gained traction. During the Modi wave of 2014, BJP’s Ramcharan Bohara won by over 5.39 lakh votes, the largest ever in the state. He brought the saffron party firmly back in the saddle and the contest is now tight. Congress has fielded Jyoti Khandelwal from the city keeping the traders in mind and Bohara will contest on the BJP ticket who is expected to seal the Brahmin vote. Ashok Parmani, who was Rajasthan’s BJP chief until the party’s 2018 Assembly Election defeat, told Firstpost that former chief minister Vasundhara Raje held several meetings that reassured traders and the central government’s schemes like the Mudra Yojana that grants loans up to 10 lakh and schemes like Stand Up India and Make in India have also had an impact. Meanwhile, Giriraj Garg of the Congress party said that the central government is making modifications to the tax and that shows how ill-planned the execution of GST actually was. "In Ajmer, Congress has fielded Rijju Jhunjhunwala from the Agrawal community and Jyoti Khandelwal from the Baniya community in Jaipur City. 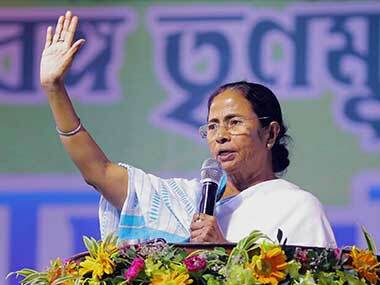 The trader vote, which has traditionally stood behind the BJP, will also back the Congress,” he expressed. The lack of alternative in the Centre and consistent efforts to rectify complex GST norms is what’s keeping the trader vote in favour of the BJP in Rajasthan, where voters had backed Congress in the Assembly election less than six months ago.